From the pages of JUSTICE LEAGUE, the road to "Drowned Earth" starts here! Aquaman is missing-and the world has gone to hell! With Arthur imprisoned by Black Manta, Queen Mera is left to deal with the arrival of an alien armada aiming to punish the Earth for the sins of Atlantis. 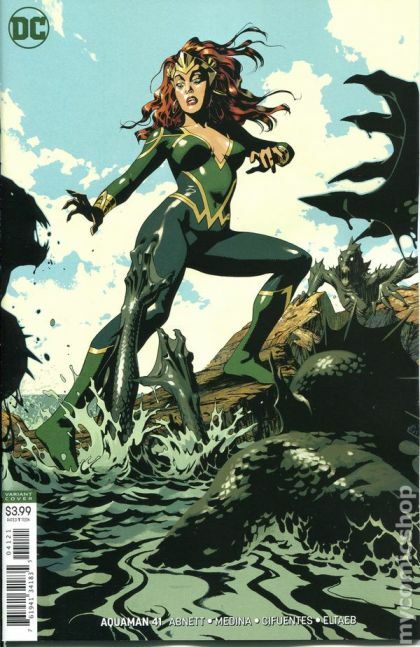 As the cosmic tides begin to rise, Mera finds herself in a fight for her very life when the flood unleashes new horrors of the deep!